Everyone has tried or at least heard of keto coffee. It has revolutionized the ketogenic diet and is loved by millions of people. There are tons of great benefits to it and it helps you start your day off with a good amount of fat. But, what about those summer days or those days you don't want a hot beverage. Personally, I prefer ice coffee all year round! Well, we've re-revolutionized the coffee game with our Keto Coffee recipe. What makes our Keto Coffee so different from the standard bulletproof coffee is not only the iced factor. We use M﻿﻿﻿CT ﻿﻿﻿﻿o﻿﻿il and heavy whipping cream to create the creamy, fatty aspect. The great thing about MCT oil is that it doesn't solidify when cold unlike butter and coconut oil would. You won't have any fat chunks in your keto coffee! 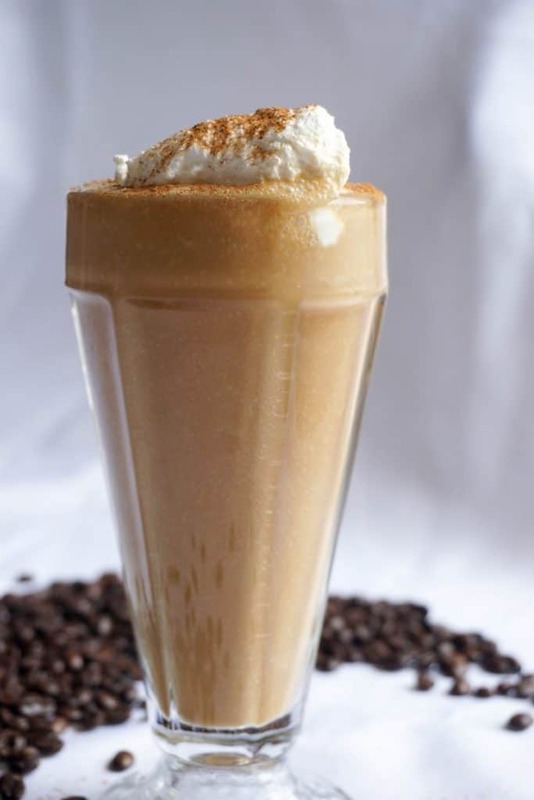 This isn't your average iced coffee. We've used a special ingredient, also known as the X factor in our house, to create a thicker, frothier consistency. This optional, although highly recommended ingredient is xanthan gum! If you haven't used it before you're missing out. It;s used as a thickening agent and works great for soups and gravies, and who doesn't like both of those things? Warning: If you've never used MCT oil before we highly recommend starting at a lower dose than what is called for in the recipe. We would even suggest starting with 1 to 2 teaspoons and seeing how your body handles it. It can cause digestive issues and discomfort at the start. To make up for it you can just increase the amount of heavy whipping cream. 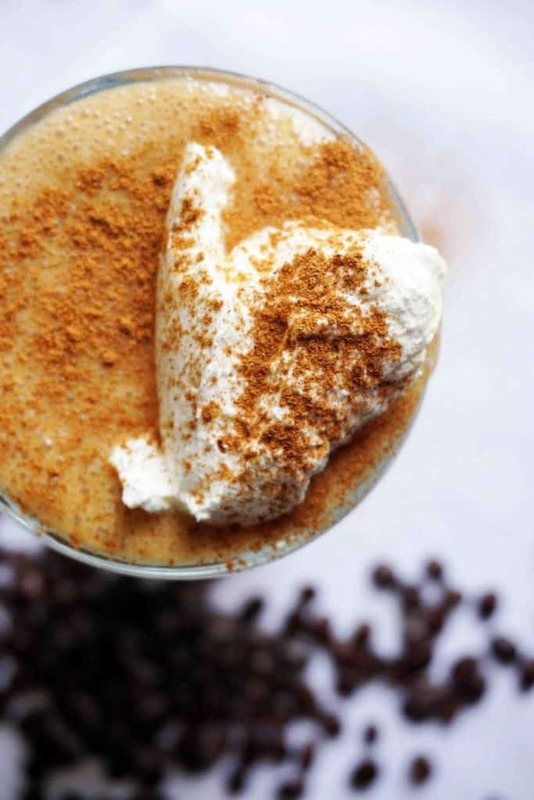 If you're a caffeine addict or just love the taste of coffee you should give our B﻿ulletproof Coffee, and for a little fun, our Irish Coffee (alcoholic) a try. But if you ask Matthew and I which is our favorite we would pick Keto Coffee every time! Sea Salt - The perfect addition to hot or cold bulletproof coffee. It brings out the creamy flavors in the drink as well as adding some much needed sodium to your keto diet. Collagen Peptides - Along with adding a host of health benefits, these will also make your keto coffee extra thick and creamy. 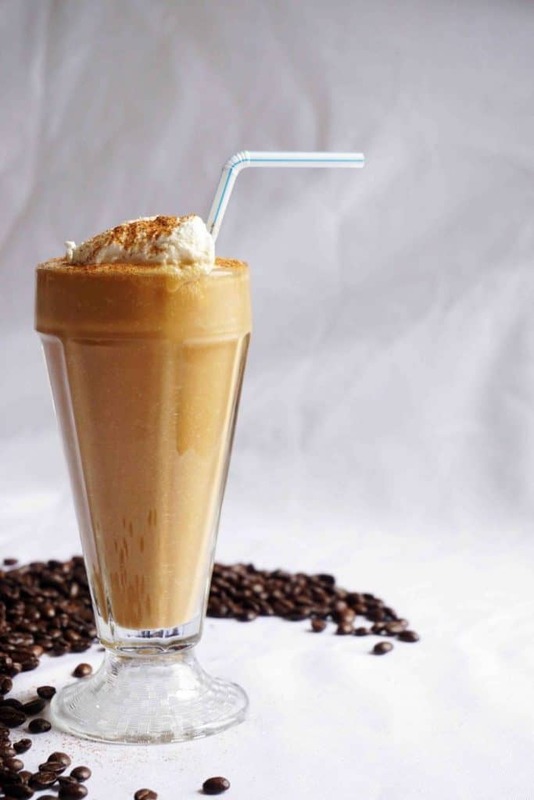 Sweeteners - The 2 best options for sweetening this iced keto coffee are flavored sweet drops or s﻿uga﻿r free flavored coffee syrups. A little can go a long way towards making your keto coffee a sweet treat! Recipe can be quickly added to MyFitnessPal - Search "KetoConnect - Keto Coffee"
Make coffee and place in fridge for as long it takes to get cold. You can also make it the night before so it's ready to go in the morning.